Custom clothes and decoration with our wide selection of stencils made out of unbreakable plastic. 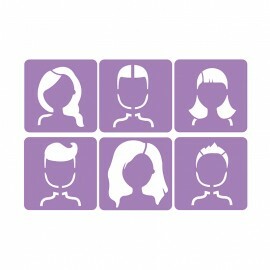 Draw faces with different hairstyles with our original stencils. We like to see these patterns gathered on a tote bag or centered on a white t-shirt. Custom clothes and decoration with our wide selection of stencils made out of unbreakable plastic. 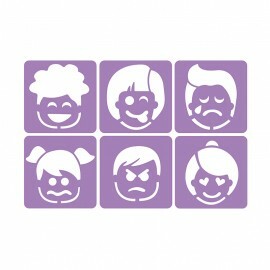 Draw faces with emotions with our original stencils. We like to see these patterns gathered on a tote bag or centered on a white t-shirt. Custom clothes and decoration with our wide selection of stencils made out of unbreakable plastic. 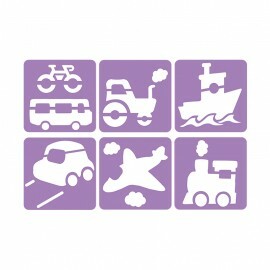 Draw a plane, a car, a boat and more on your clothes with our original stencils. We like to see these patterns gathered on a tote bag or centered on a white t-shirt. Custom clothes and decoration with our wide selection of stencils made out of unbreakable plastic. 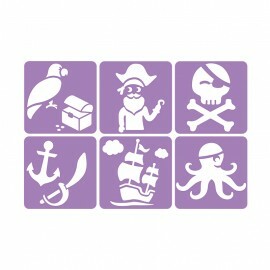 Draw a pirate boat, a treasure, a skull and more on your clothes with our original stencils. We like to see these patterns gathered on a tote bag or centered on a white t-shirt. Custom clothes and decoration with our wide selection of stencils made out of unbreakable plastic. 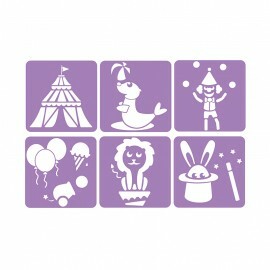 Draw a circus tent, a juggling clown, a lion and more on your clothes with our original stencils. We like to see these patterns gathered on a tote bag or centered on a white t-shirt. Custom clothes and decoration with our wide selection of stencils made out of unbreakable plastic. 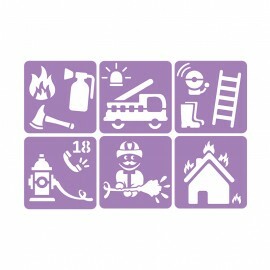 Draw a fire truck, a firefighter, a burning building and more on your clothes with our original stencils. We like to see these patterns gathered on a tote bag or centered on a white t-shirt. Custom clothes and decoration with our wide selection of stencils made out of unbreakable plastic. 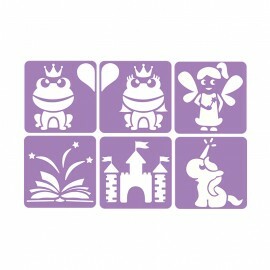 Draw a castle, a fairy, a unicorn and more on your clothes with our original stencils. We like to see these patterns as decoration, gathered on a tote bag or centered on a white t-shirt. Custom clothes and decoration with our wide selection of stencils made out of unbreakable plastic. 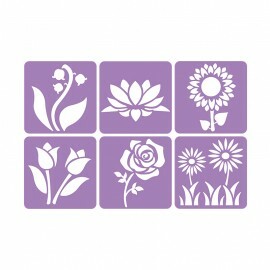 Draw a rose, a sunflower, a daisy and more flowers on your clothes with our original stencils. We like to see these patterns gathered on a tote bag or centered on a white t-shirt. Custom clothes and decoration with our wide selection of stencils made out of unbreakable plastic. 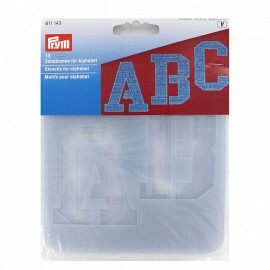 Write what you want on a tote bag or on a white t-shirt with our original stencils. Custom clothes and decoration with our wide selection of stencils made out of unbreakable plastic. 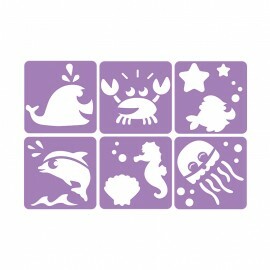 Draw a dolphin, a whale, a crab and more on your clothes with our original stencils. We like to see these patterns gathered on a tote bag or centered on a white t-shirt. Custom clothes and decoration with our wide selection of stencils made out of unbreakable plastic. 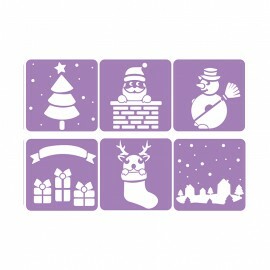 Draw a christmas tree, a snowy village and even Santa claus on your clothes with our original stencils. We like to see these patterns gathered on a tote bag or centered on a white t-shirt. Custom clothes and decoration with our wide selection of stencils made out of unbreakable plastic. 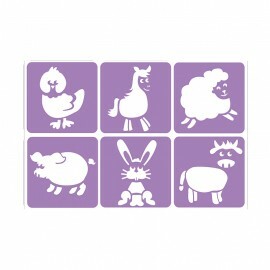 Draw a pig, a cow, a sheep and more on your clothes with our original stencils. We like to see these patterns gathered on a tote bag or centered on a white t-shirt. Custom clothes and decoration with our wide selection of stencils made out of unbreakable plastic. 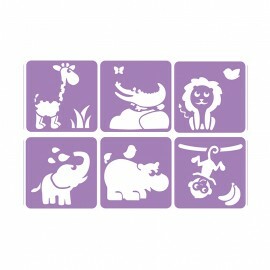 Draw a hippo, a girafe, a lion and more on your clothes with our original stencils. we can imagine these patterns gathered on a tote bag or centered on a white t-shirt. Custom clothes and decoration with our wide selection of stencils made out of unbreakable plastic. 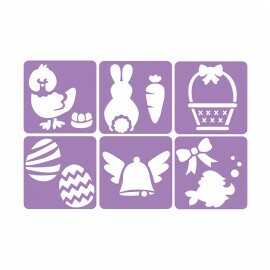 Draw an easter rabbit, easter eggs, a basket and more on your clothes with our original stencils. we can imagine these patterns gathered on a tote bag or centered on a white t-shirt. Custom clothes and decoration with our wide selection of stencils made out of unbreakable plastic. 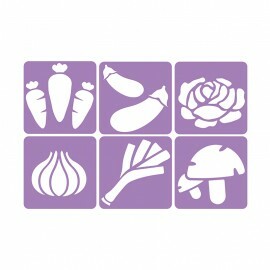 Draw a carrot, a mushroom, a leek and more on your clothes with our original stencils. we can imagine these patterns gathered on a tote bag or centered on a white t-shirt. Custom clothes and decoration with our wide selection of stencils made out of unbreakable plastic. 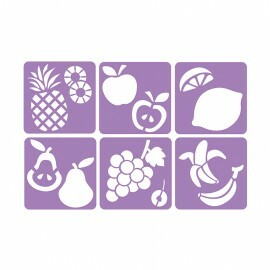 Create an apple, a lemon, a banana and more on your clothes with our original stencils. we can imagine these patterns gathered on a tote bag or centered on a white t-shirt. Personalize your piece and make it unique ! 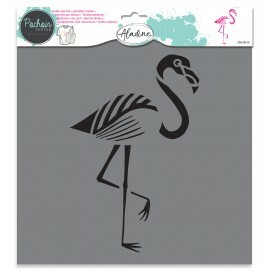 Customize your clothes, bags and accessories with this beautiful textile stencil to create a trendy flamingo pattern. We imagine this flamingo in the center of a pretty tote bag or a t-shirt ! Big stencil for mega effect ! Dimensions of the stencil 28 * 28 cm. Personalize your piece and make it unique ! 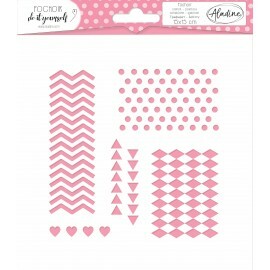 Customize your clothes, bags and accessories with this beautiful textile stencil to create a trendy anchor pattern. 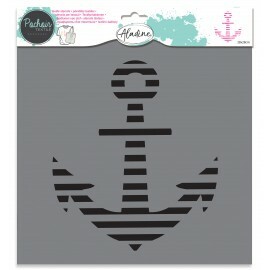 We imagine this anchor in the center of a pretty beach tote bag or a t-shirt for a sailor-inspired look ! Big stencil for mega effect ! Dimensions of the stencil 28 * 28 cm. Personalize your piece and make it unique ! 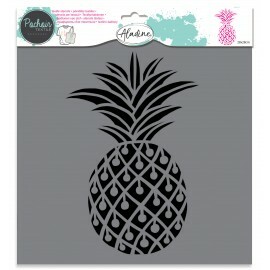 Customize your clothes, bags and accessories with this beautiful textile stencil to create a trendy pineapple pattern. We imagine this pineapple in the center of a pretty tote bag or a t-shirt! Big stencil for mega effect ! Dimensions of the stencil 28 * 28 cm. Personalize your piece and make it unique ! 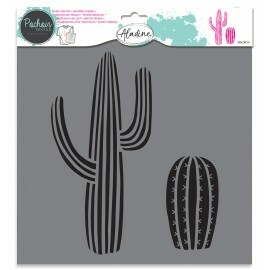 Customize your clothes, bags and accessories with this beautiful textile stencil to create a trendy cactus pattern. We imagine the big cactuses in the center of a pretty tote bag or a t-shirt! Big stencil for mega effect ! Dimensions of the stencil 28 * 28 cm. Personalize your piece and make it unique ! Customize your clothes, bags and accessories with this beautiful textile stencil to create Indian-inspired feather patterns. 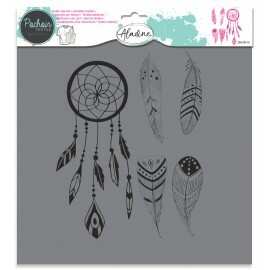 We imagine the beautiful dreamcatcher in the center of a pretty tote bag or a t-shirt! Big stencil for mega effect ! Dimensions of the stencil 28 * 28 cm. Customize the decoration, your clothes and accessories with this do it yourself stencil ! 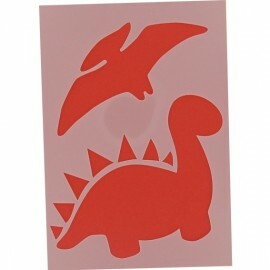 You can use this stencil with paint on card making, textiles, wood, walls and many other materials and surfaces. We love the original geometric pattern on this stencil ! Dimensions 15 * 15 cm. Customize the decoration, your clothes and accessories with this do it yourself stencil ! 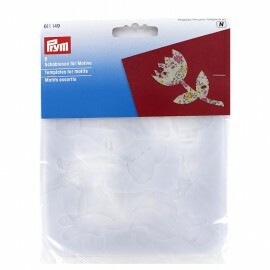 You can use this stencil with paint on card making, textiles, wood, walls and many other materials and surfaces. 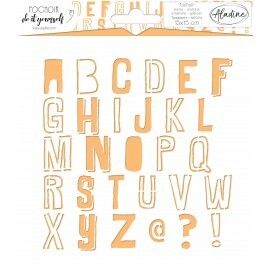 We love the original alphabet on this stencil ! Dimensions 15 * 15 cm. Customize the decoration, your clothes and accessories with this do it yourself stencil ! You can use this stencil with paint on card making, textiles, wood, walls and many other materials and surfaces. 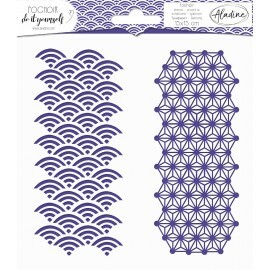 We love the originaljapanese geometry pattern ! Dimensions 15 * 15 cm. Customize the decoration, your clothes and accessories with this do it yourself stencil ! You can use this stencil with paint on card making, textiles, wood, walls and many other materials and surfaces. 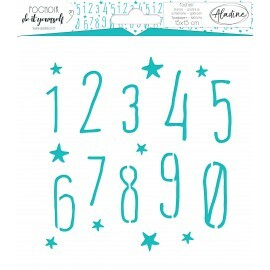 We love the original font number and the cute star patterns ! Dimensions 15 * 15 cm. Customize the decoration, your clothes and accessories with this do it yourself stencil ! You can use this stencil with paint on card making, textiles, wood, walls and many other materials and surfaces. We love the trendy flower and butterfly patterns ! Dimensions 15 * 15 cm. Customize the decoration, your clothes and accessories with this do it yourself stencil ! 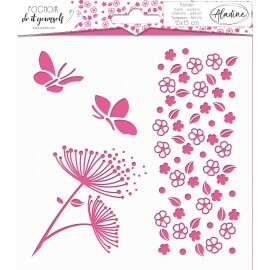 You can use this stencil with paint on card making, textiles, wood, walls and many other materials and surfaces. 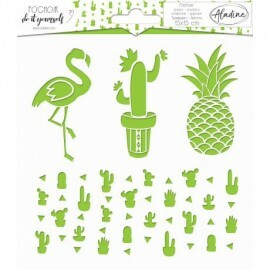 We love the trendy cactus, pinapple and flamingo patterns ! Dimensions 15 * 15 cm.